Use our Delta grown kumara with full confidence knowing that all our growers maintain the high health value of kumara through sustainable crop growing practices and that Delta Kumara are GAP Certified. Kumara is a good-health heavyweight packed with anti-oxidants, vitamin E and beta carotene - all of them champions in the fight against cancer. Its high fibre assists cleansing and controlling food intake by helping you feel full. Its low Glycemic Index (GI) enables you to enjoy sustained energy levels. Food experts around the world agree kumara is jam-packed with health benefits. A study in the United States showed that the nutritional value of kumara with its fibre, complex carbohydrates, protein, Vitamins A, C and E, iron and potassium achieved a score of 184 – outstripping its nearest rival by a full 100 points! Search our database quickly and easily to find all kinds of kumara dishes for all types of occasion. We hope you’re inspired by the recipes we have here for you and we hope that you will keep coming back for more ideas on how you can use kumara every day and for any occasion or meal. 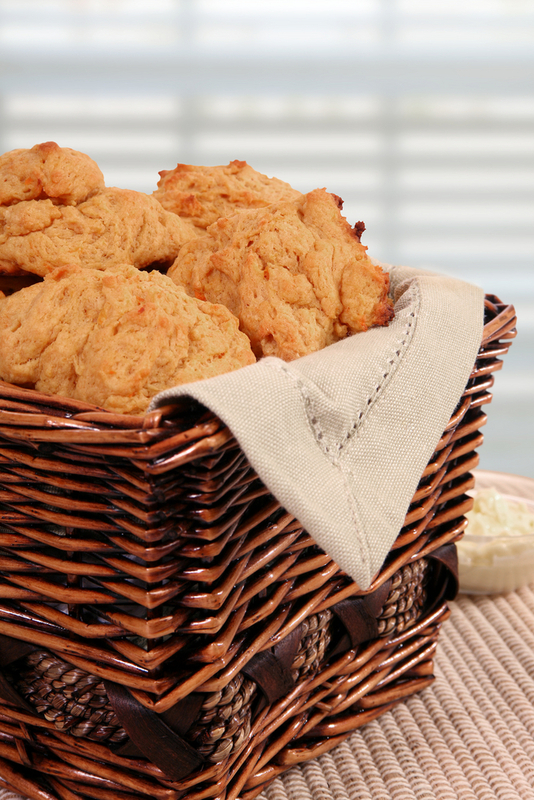 If you have a great recipe of your own for kumara go to our Share a Recipe page, we’d love to try it. 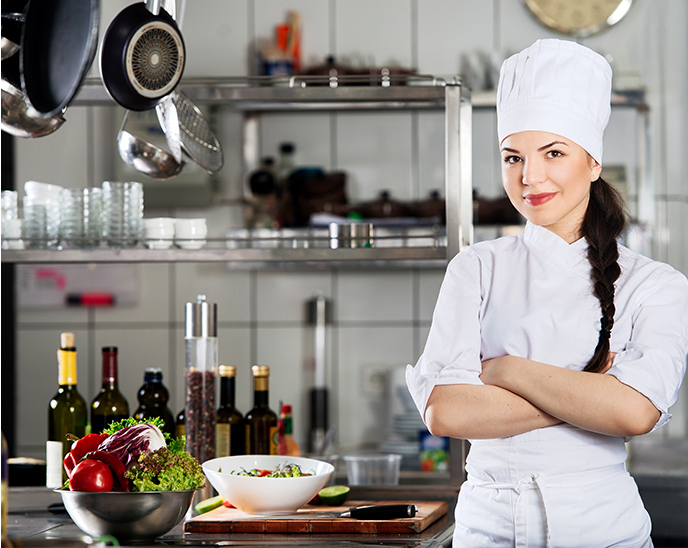 If our chef likes it, your recipe will be included in our database with your name as the source. Many use kumara as an addition to, or replacement for, potatoes. Some, because they are also known as Sweet Potatoes, prepare them exactly as they would potatoes. Kumara are different from potatoes and so we can use them in different ways. Most of us know about the Red variety of kumara, but look for the Gold and Orange varieties as well. Like the unpeeled red, these can add real colour and interest to any dish that you plate. Make something new of the ever popular pre-dinner chips and dip. Try making kumara wedges instead. If you have children (and let’s face it ­ especially boys) away at University or Polytech and they’re living in a Student Flat you can be certain that “Best Before” Dates on food will only be used as a roughest of guides. DON’T peel your kumara. Simply wash thoroughly and slice. It’s much easier than peeling them, they taste great cooked with the skin on and add great colour to the dish. Feature just one of the colours or serve all three as a medley of colours, textures and tastes. 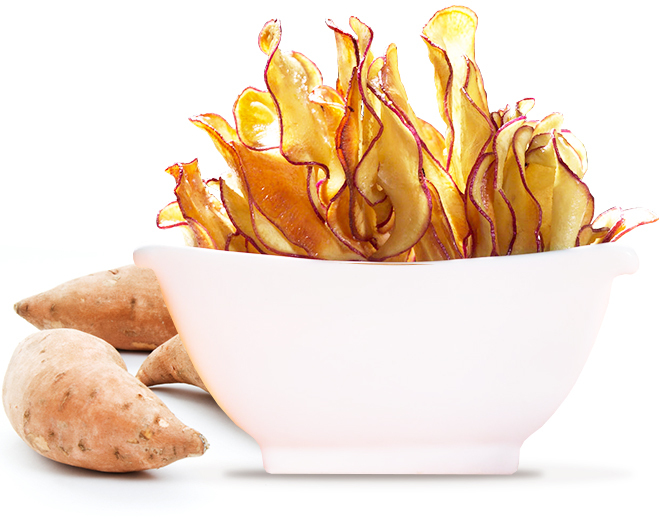 Make kumara wedges really different by using all three varieties, red, gold and orange kumara and see how great the different colours look served together. Encourage them to buy and eat kumara. Kept in the pantry (the flat won’t even need a fridge) it will last a very, very long time, retain all its natural goodness and be delicious to eat.